The DRAWTASTIC Festival of Drawing & Animation was first held at the Youngstown Cultural Arts Center in April 2016. In actual fact DRAWTASTIC has evolved out of the "2D OR NOT 2D Animation Festival" which had grown consistently for 5 years until it lost its original sponsor. Now renewed and re-energized the festival's mission is to honor and support all kinds of animation - but especially traditional hand-drawn 2D animation. The DRAWTASTIC festival also embraces a Gallery of outstanding drawings, as well as including a Vendor Hall where independent artists can inexpensively show and sell their work. The festival awards its prestigious Golden Pencil Awards to the best entries in a number of categories, including... 2D Animation. (Traditional, hand-drawn 2D film animation. ), All-style animation. (I.e. Any kind of film animation, other than 2D. ), Student animation, TV show and advertising animation, Web animation, Game 'cinematic' animation, Flipbook animation. The festival's prestigious, non-competitive "ROY E. DISNEY AWARD" is presented each year to the individual, studio or organization that is considered to have made an outstanding contribution to the evolution of the animated art form in recent times. The first recipient of this award was Roy E. Disney himself, when opening the inaugural festival in Everett, WA. Subsequent winners have been Richard Williams, Don Hahn, Tomm Moore and Paul & Sandra Fierlinger. Why not enter your film? If you want to enter your animated film (or flipbook video) into the 2017 event, please click HERE for full details. Check out more about the festival HERE. 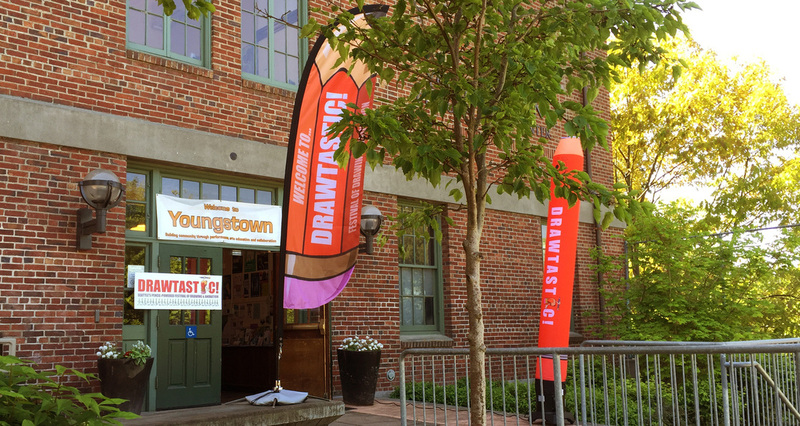 Whether you are a Filmmaker, Animator, Vendor, Artist or Fan, we're sure you'll have a great time at DRAWTASTIC!